My leukocyte esterase is high at 25 and my creatinine is high at 149. I had hip replacement surgery last February and have low energy and muscle loss. I am getting stronger every day but I used to have great muscles and was very fit. Now I am often depressed and that is not me! In the last few months, more like 6 months, I get drug tested once a month and my creatinine levels have been ranging from extremely low to abnormally high. I am not understanding why this is happening and my doctor's appointment isn't until a month from now. I am a 35 year old male, my creatinine is 1.2. I am not sure whether it is dangerous or not. After consuming homemade supplement powder for 5 days my urine turned dark in color with severe stomach pain and vomiting. I landed in the hospital where my creatinine level was 3 something. As I immediately went to the hospital, the infectious disease can be reversed. I am about to go for CT scan. Let's see what the results are going to be. My doctor advises me that my creatinine number is on the low side. I feel tired and most days sleepy, but don't always have time for too much resting. But on the days I do have the time, I do rest. I also have pain in the right kidney area, oh, I forgot to tell you I lost the left one at 11 years due to infections. That's why I'm concerned with this one. My serum creatinine level is 1.10. My doctor's office called to tell me that my creatinine level was high and that I should not take aspirin or ibuprofen. I wonder if high creatine could be caused by eating red meat. Your article said it could be from muscle metabolism. My creatinine is 0.85, I am not sure if it is good or bad. My creatinine level was at a 1.4, and now it went up to 3.0. I am in the drug court program. I was told I am a positive test for amphetamine due to my creatinine levels being a little high. I do have hepatitis C also. I have not used any drugs in 10 months. I wonder what could have caused this. Recently my serum creatinine level has shot up to 5.8. Presently I am under the medical care of a nephrologist. My latest blood test showed a low creatinine level of 62 versus a normal range of 67-117. My eGFR reading was a healthy 98. I wonder if my creatinine low reading is telling me something. It is the first time I had a low reading. My blood pressure is below 130 over 80 on a consistent basis. I had just put in 5 hours working lifting about 200 boxes each weighing 30 to 40 lb. as part of my part time job for health reasons. This is something I will ask my health care provider later this week. I have CK levels of up to 2000 when resting and even went up to 8000 without doing exercise, experiencing extreme pain in my quadriceps only, the rest of my legs are pain free and fully functional. I have done MRI of my spine and leg muscles, and aortogram looking at arteries. They have done over 1000 blood tests and muscle biopsy and still they have found no diagnosis. I had my left kidney removed many years ago and was told I'd be ok to live with just one kidney. However having had an incontinent bladder for most of my life caused many urinary tract infections (UTIs). I had bladder cancer and I thought that would be it, sadly I was wrong, I had new bladder reconstruction 3 years ago which went very wrong. Then last year I had a Mitrofanoff. All this time I have had chronic UTIs, now my kidney is getting worse and my creatine levels have gone from 110 to 150 and my latest one was 180. I know my function is deteriorating and I am told I am going into CKD (chronic kidney disease) stage 5 or 6, wonder if it will mean dialysis. Personally I hope so because I am frequently anemic and feel some hope. My daughter recently spent 4 days in the hospital with severe right back pain and uncontrollable vomiting. 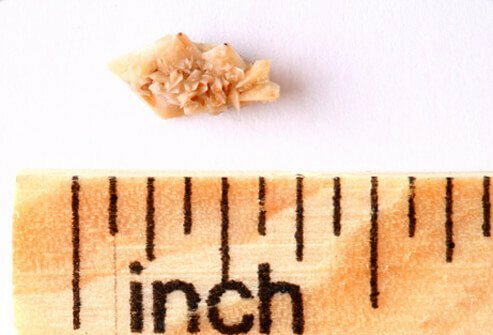 As she was poked and prodded they found she has a kidney stone on her left kidney a polyp in her gallbladder, inflammation around her right kidney and ascending colon, and an enlarged thyroid. She has been a healthy active 15 year old. Her creatinine level started rising as high as 1.7 with no explanation or diagnosis! Annual BMP showed creatinine level was below normal (.56) and BUN was 9. I am a 47 year old Caucasian woman. My doctor told me that creatinine was a waste product produced by the kidneys and the low levels meant that my kidneys were functioning above average. Just a little concerned as my brother had a kidney removed due to cancer. I am about 59 years and healthy. I"ve had a Lap cholecystectomy and TURP (transurethral resection of the prostate) in December 2012. Recently during a routine blood screening my serum creatinine levels were at 77 which is a little lower than the normal reference levels. Due to spine issues MRI s with gadolinium were done. I would say at least 10 MRIs were done. I recall blood tests taken prior to each MRI. Now I have developed acoustic neuroma which we plan to monitor. However neuroma can only be recognized with MRI with gadolinium. My creatinine level is 0.99. I am concerned about the elimination of gadolinium. Am I looking for more complications of kidney disease? I don't know what to do. I just had a blood work done up for some life insurance. I had a creatinine level come back at 101.6 mg/dl. This seems high, but I'm not sure. My creatinine blood level is 4.5. I was told I would have to start dialysis. I wonder if I should start that procedure with a 4.5 level. I am 63. Just yesterday I received the results of my blood analysis. It indicates that creatinine level is 10.30 mg/L. I don't know what it means. I don't really feel any particular ailment. My sodium is low and I have a very bad headache. I just had lab tests done again today for it. My last lab test for creatinine was 0.58, low. My husband had kidney removed because of cancerous tumor. On January 1, 2015 they noticed a few tumors on the other kidney but did not remove it, but took a piece off and had it sent away for analysis. Three months later we were told his other kidney was also cancerous, and since March his creatinine level has risen 44 points and every month it goes higher, and his G level goes down. It is down to 34. Once this hits 30 is it a sign that his kidney is failing. They tell us a transplant is not going to happen because if they cut him the cancer will spread like wildfire, but they tell him not to worry. I am 34 years old and my creatinine is 1.88. There is infection in urine and also protein level is high. I don't know what to do. I just got my results back from my blood tests. The reports states creatinine serum as value 1.19, and reference range 0.57-1.00 mg/dl. BUN creatinine ratio is 15 and reference range 11-26. Sugar was mildly high also. I am diabetic patient type 2. My creatinine blood level was 1.2 my fating blood sugar (FBS) was 114 and my blood pressure was 164/100. I was advised to control my blood pressure and I should go for checkup within a month. I have got also a problem with gas. I had one kidney removed because of a tumor. My other kidney is normal. Recent bold test showed a high level of creatinine ... 118. I have neuropathy in my feet, fatigue at times, depending on Prograf and sugar levels. After my lung transplant surgery 8 years ago my creatinine level moved from 1.5 to 2.1. Recently I was told I had CHF (congestive heart failure), now my blood pressure went to 90/48. My potassium and magnesium levels went low, and now creatinine level was 2.8. I already have diabetes type 2 well controlled, high blood pressure, and asthma. I'm trying to calculate my creatinine clearance level. This is the formula you give, but it is unclear how to use it because I don't know where to put the parenthesis: The formula is 140 minus the patient's age in years times their weight in kilograms (times 0.85 for women), divided by 72 times the serum creatinine level in mg/dL. I would like to know if it is 140 - ((age in years X weight) / (72 X serum creatinine)). I get 68.6 on that calculation, which is low. I am not sure if that is good or bad. I had lab work done. My creatinine was 1.52 and I'm concerned. My creatinine level is 0.85. My creatinine is 2.70 mg/dL. I am confused. I have a creatinine level of 212.83 mg/dL. All I see is it is listed elsewhere is mL/min. So I don't know what the difference is, whether I am high or not. My creatine level is 1.65. I'm 39 and have serum creatine test result of 46 umol/L. My creatinine level is 1.18 I am not sure if that is good or bad. I have a creatinine level of 200 mg, I wonder if it is high. My creatinine is 3.5, blood group b positive and hemoglobin 8.7. My creatinine levels were 0.17, I don't know if that is good. My creatinine is 92 but I don't know what it means. My creatinine levels are 1.54, I don't know what that means. My creatinine level is 1.30 mg/ml. One of my kidneys was damaged in 2015 and after operation removed. I have only one kidney present in my body at the moment. I exercise regularly and am told I am in extraordinary physical condition. My creatinine level is 1.26. I have a BUN level of 22, creatine level of .92, and a GFR 60. I am a heart patient and I am an alcoholic, overweight, and take diuretics. I have high creatinine levels. My creatinine level is low, 0.7. I had a creatinine test today and it was 1.50. I had routine blood work for surgery. My creatinine was .58 and it was highlighted. The range starts at .60, wonder if I have to worry. I have 1.20 creatine level. I am on Tysabri for 7 years. My creatine is at 3.1. I am not diabetic. My child blood creatinine is 2.4 instead of 0.6 to 1.4 and blood urea is 75 instead of 10 to 40 for past 2 years. Now hameopathy medicine is taking. GFR level is poor. I have been a diabetic patient for the past 15 years. Recently, I checked my creatinine level and found that it is 2.6 mg. As advised by my doctor, I took medication, but still the creatinine level stands at 2.6 mg. Recently, my creatine level tested at 0.60. I don't know what this means.